What ever happened to freedom of speech. 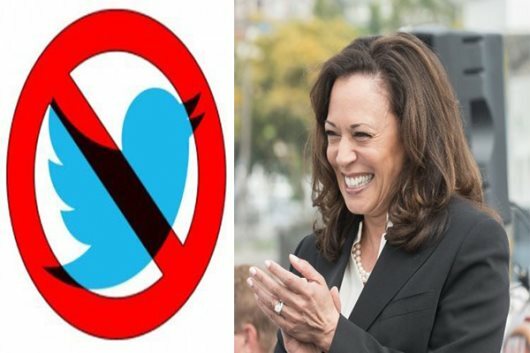 AFRICANGLOBE – Twitter this week suspended at least two accounts allegedly suspected of troll-like behavior targeting presidential contender Sen. Kamala Harris of California as well as other Democratic candidates. The suspensions mark an early test of the social media platform as it wrestles with the fallout of the last presidential race. Twitter has been criticized for not doing enough to stem disinformation posted by alleged fake accounts during the 2016 race, including those that were allegedly part of a targeted campaign by the Russian government to stoke tensions around race and other matters. At the same time, Twitter has said it supports the free speech of its users. A spokesperson for Twitter said that the company was limited in how much it could say about specific suspensions and that they were not aware whether the accounts were linked. In response to inquiries, Bragman said he had contacted the person who operated the account by phone and email. He provided screenshots of call logs and email chains he said he exchanged with Jermane Willis. Willis’ email address and phone number are not shown in the screenshots.